I had never met Blair Spaulding before he visited my web site and was fairly taken with my rods and started a dialogue with me. In a brief period of several weeks, we became lasting friends and he came to own two of my fly rods. 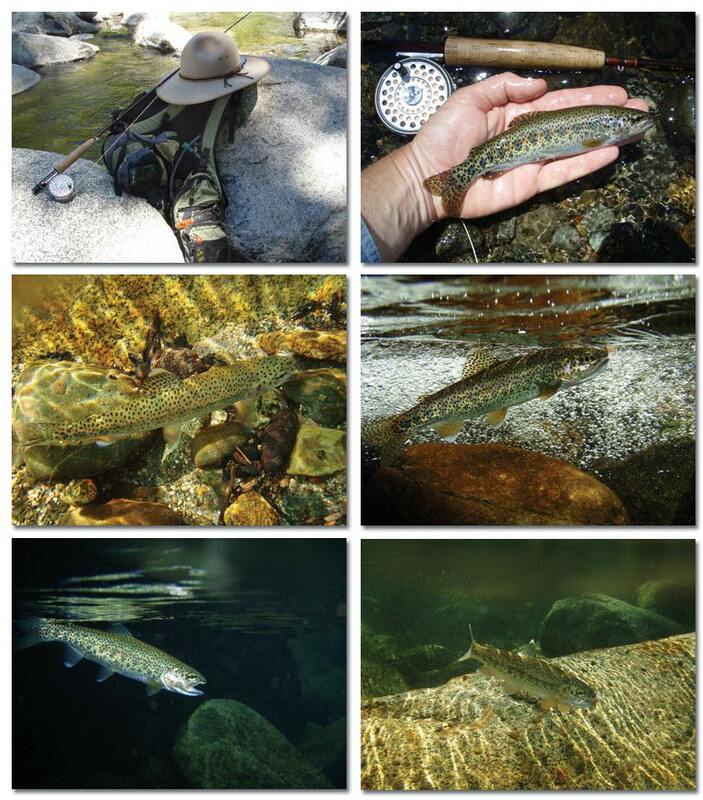 This is going to be a long, perhaps never ending, text filled entry in the Photo Journals section of my site, but if you will take the time to allow it to unfold for you, you will experience a warmth and a wholesomeness that only love for family and fly fishing could unfold for you. You will also see that Blair is a gifted photographer and, by profession, a school teacher, but by choice a teacher and lover of his own. Fly fishing to Blair is a family opportunity, a journey, not only into some of the finest country our far west can present, but a passage through life. I hope you will join him in his pursuit. I hope this finds you well and enjoying a relaxing Memorial Day holiday. I can't remember exactly how I stumbled across your website, probably because of a Google search for "small stream fly rods" or something like that, but I am very glad that I did, for I have spent quite a bit of time browsing and perusing your pages and links recently. To say the least, I am in awe of your excellent website, spectacular photography, and the incredible craftsmanship of your fly rods! 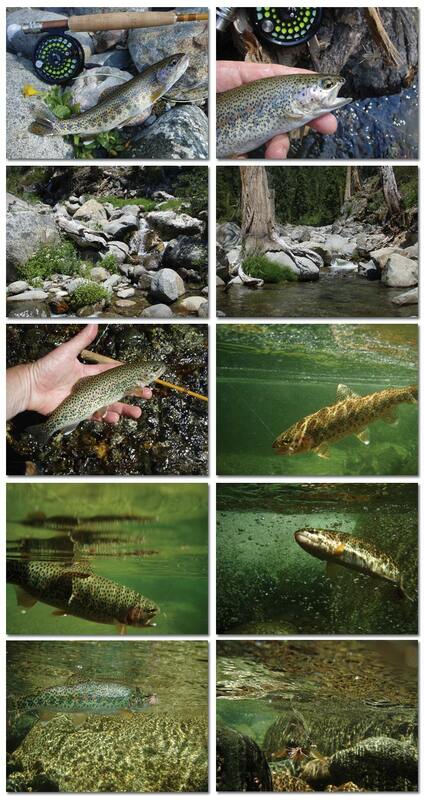 By way of introduction, I was very fortunate about 40 years ago, when I was six years old, to have my father put a fly rod in my hand and share with me the joy of hiking, exploring, and fishing along small mountain streams, catching little speckled jewels all day long and where a 10" or 12" fish was a real trophy. It's that type of fishing in that type of setting that I have always loved and continue to pursue to this day. About two years ago, I retired from a twenty-plus year career in law enforcement in southern California and moved with my wife and youngest daughter to the beautiful and friendly town of Nevada City in the Sierra foothills of northern California where I am now working with "at-risk" high-school students, trying to keep them squared away, in school, and out of trouble. With summers off, I am fortunate to be able to go in search of small rainbows, brookies, and the occasional brown in the numerous nearby creeks and streams. Though not an avid fisher, my wife shares my love of these beautiful locations, and my ten-year old daughter is becoming quite an accomplished fly caster in her own right! 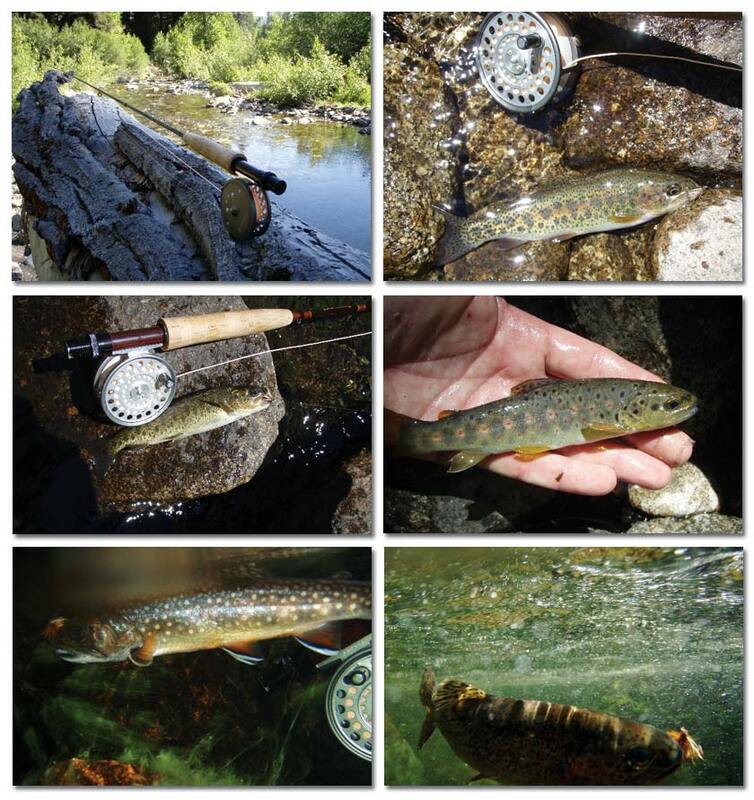 With that said, I would love the chance to add one of your beautiful small-stream fly rods to my collection, and I have a few questions based on what I have learned from your website. First of all, my three favorite rods that get the most use are a 7'/3wt Scott Fibertouch, a 6'9"/3wt Winston five-piece LT, and a 6'3"/3wt Sage SPL. My "long" rods are a 7'7"/4wt Scott G and an 8'/4wt St. Croix Imperial that I inherited from my father when he passed away several years ago. How do the actions of these two rods compare? What is the availibility of these rods? 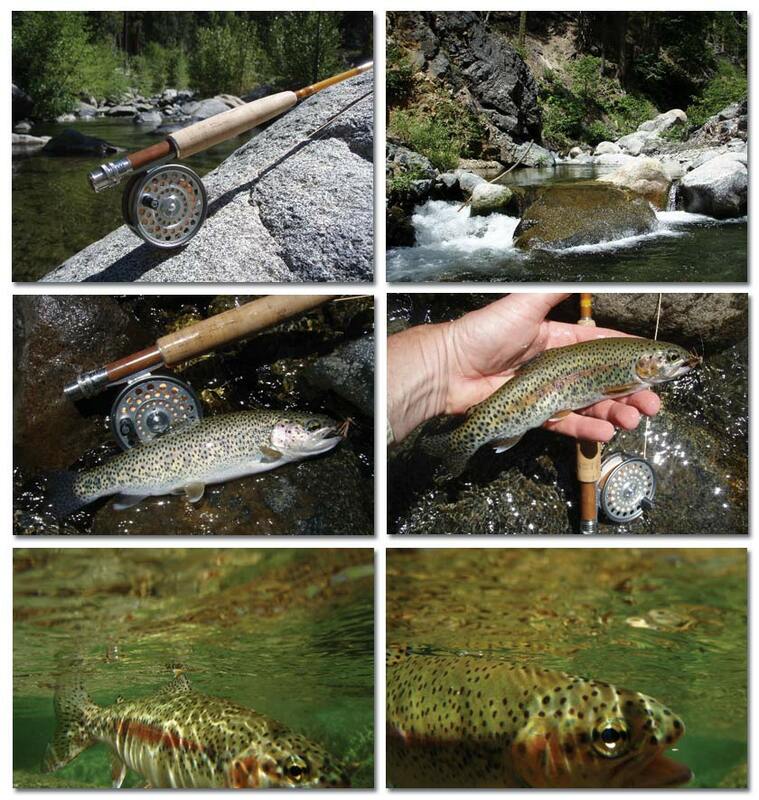 What are the color choices of the small stream rods? How long would it take to obtain one of these rods if not immediately available? We discussed the various aspects of the rods he was interested in and after some thought he went with my 7' 3-4 wt. four piece rod. I sent it along to him and, in a few days, he wrote back with the following email and included the just wonderful pictures below. I still can't quite believe that just six days ago I wrote you an e-mail inquiring about your fly rods, and this morning I was able to take my beautiful new rod out to one of my favorite local small streams and actually fish with it! As you can see from the attached photos, the rod worked quite well and I was able to find a few nice little fish to cooperate for the rod's debut. The first photo shows a nice little brookie that came up and nosed my fly on the very first cast I made with my new rod, and he took on the very next cast! The creek was running a bit fast as expected this time of year, but I was still able to find some nice little pockets where the fish were hungry. I hope this finds you and your wife well and enjoying a great summer in Montana! I had a great Father's Day yesterday as my wife, Kelly, youngest daughter, Sierra, and I spent the day on another one of my favorite little streams. It was one of those days where the fish were fighting each other to get to the fly first! I caught myself laughing out loud more than once, always a good sign of a successful outing. And speaking of success, I took along my little Dave Lewis signature Small Stream Special and tried it out with a 3wt line this time (I had been throwing a 4wt line the day I sent you the first photos), and it worked like a dream. Thank you so much, Dave, for building such a beautiful rod that has brought me such pleasure out on the water! I hope you don't mind my sending along a few photos of such a special Father's Day outing. It didn't take me long to see that fishing is a family affair with Blair. In subsequent emails, we see more of fishing with his daughter. His wife goes along shoots the pictures and enjoys a book while he and their daughter fish. It is obvious that Blair likes nice equipment too. Previous pictures shows his Abel reel on his new rod. This time around he is using a fine older small Hardy. I think I read on your website that you have had customers provide you with blanks to build for them? About how much do you charge to build a rod on a customer-provided blank? If you build the rod, how does that affect the factory warranty? Harry Murry is a personal friend of mine, lives just up the road from me in Virginia. He belongs to our little fishing club on Mossy Creek. 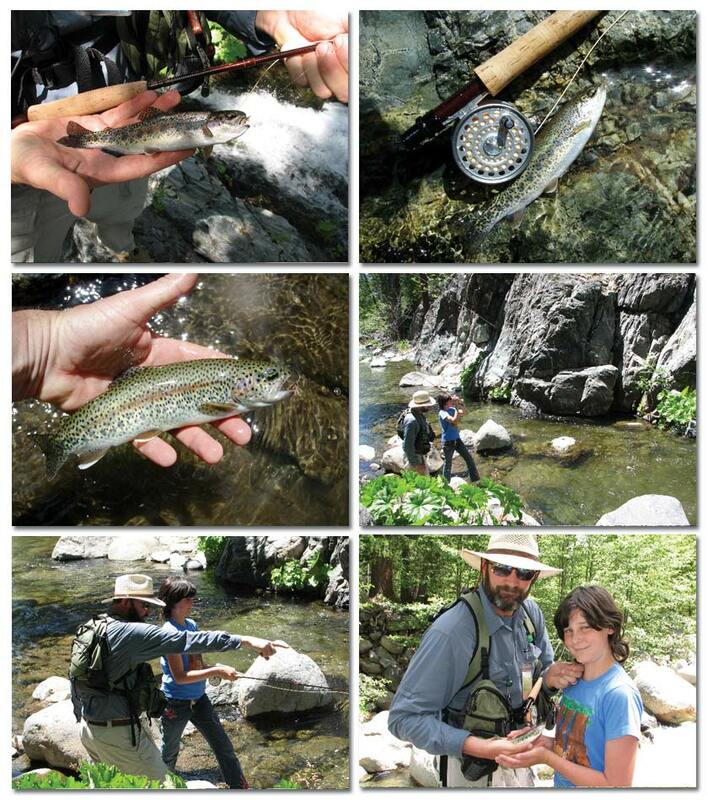 Harry has had his little Mountain Trout Rod for ages, it seems. It is a quite powerful little rod, and he gets a quite handsome price for it. Blair would probably enjoy it a lot. Great information, Dave, thanks. Might as well keep this simple and say that I'll take the 6'6" rod, if you could set it aside for me. I do know what you mean about the deceptive wimpiness of fiberglass but how versatile and powerful it really is! When I bought the first rod from you, I kept going back and forth between the 6'6" and 7' you had in stock, so this works out great. I can't wait to try out another one of your beautiful rods. Had a few nice surprises of my own yesterday. 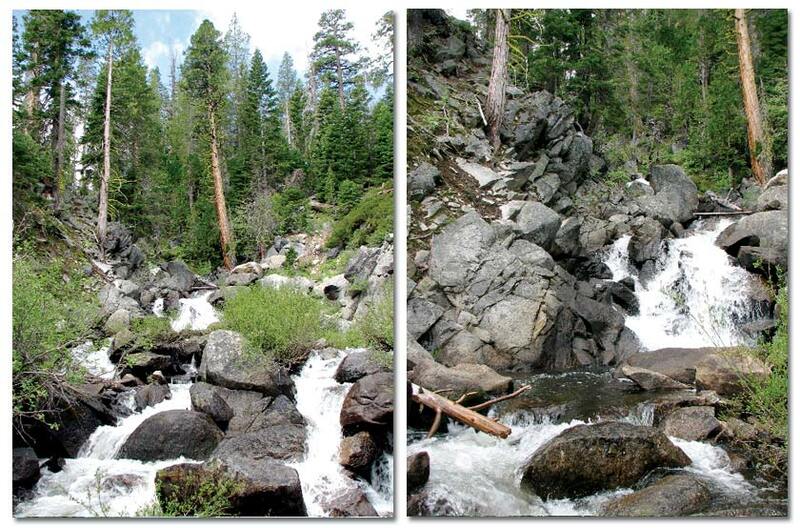 A buddy of mine and I went up to a favorite little creek that is still flowing well, although it's one of the first to get hit by warm weather. I'm always amazed to find such wonderful fish in these little pools that aren't much more than knee deep. We each tripled out on rainbows, brookies, and browns, and our wives and kids hiked in to meet us for a streamside lunch. It doesn't get much better than that! A few days later I got this email letting me know he had received the glass rod. He also included some pictures he had shot the day before. He has an underwater capable camera and made his first attempts at photographing fish in their natural habitat. You can see it is a tough proposition. Keep with us, though. He gets better at it. I snuck out yesterday for a little solo trip. I'm still playing with the underwater shots, but those dang trout aren't as cooperative when they're below the surface! 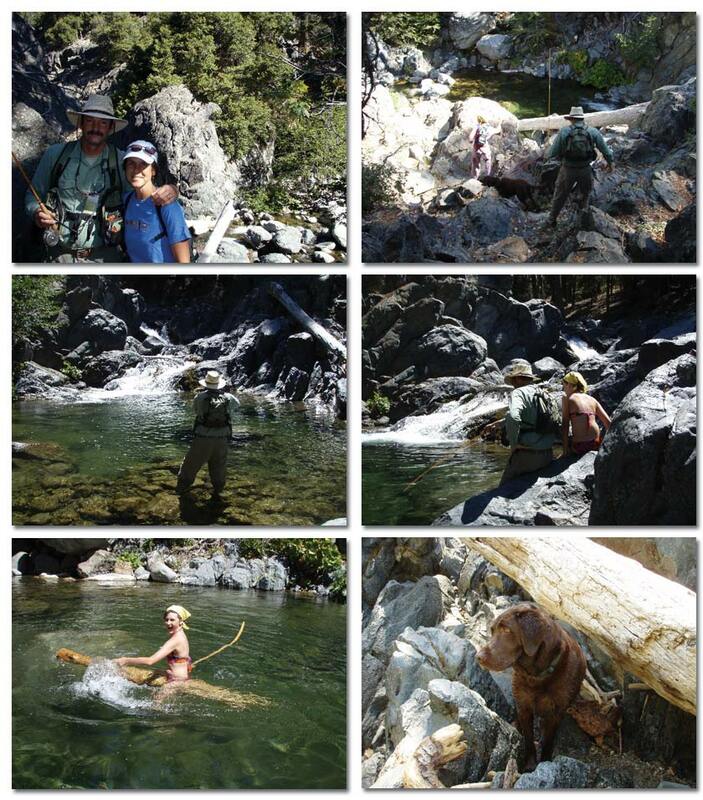 Shortly after the Fourth of July, I got another email from Blair with pictures of a day he spent with his daughter, Sierra, fishing another of their high mountain streams. Her name is obviously a perfect complement to the wonders of the place. I really appreciate your kind photographic compliments from your last e-mail. Thank you! I hope you don't mind that I keep sending you more pictures; I've just really enjoyed the chance to keep in touch and express to you some of the joy I have experienced by fishing with your fly rods. My daughter, Sierra, and I were lucky enough to get away together on Tuesday for a great father-daughter outing with the main purpose being to get her to catch some fish! She has become quite a good little caster, but she has been frustrated by the challenge of reacting to a strike, setting the hook, and then keeping the fish on until it is landed. I've been telling her that these are the same frustrations that fishers have faced since time began, and she really worked hard on Tuesday even after losing several fish early in the day. Her diligence paid off, however, and she ended up landing four beautiful fish all by herself! As Blair said the other week, it doesn't get any better than - the picture above. Hope you are doing well! 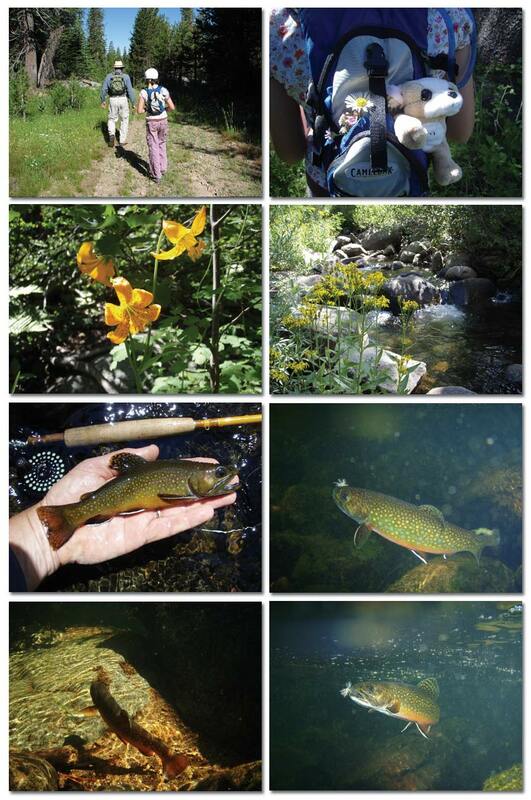 I took the glass rod out to a tiny alder-covered stream yesterday where live some of the most beautiful little brook trout I've ever seen. The creek is mostly ankle deep and the casting turns into an awkward series of wrist flicks to try to avoid most of the overhanging branches! If one is fortunate enough to place the fly into one of the hidden little pools, he is rewarded with some spectacular brookies. 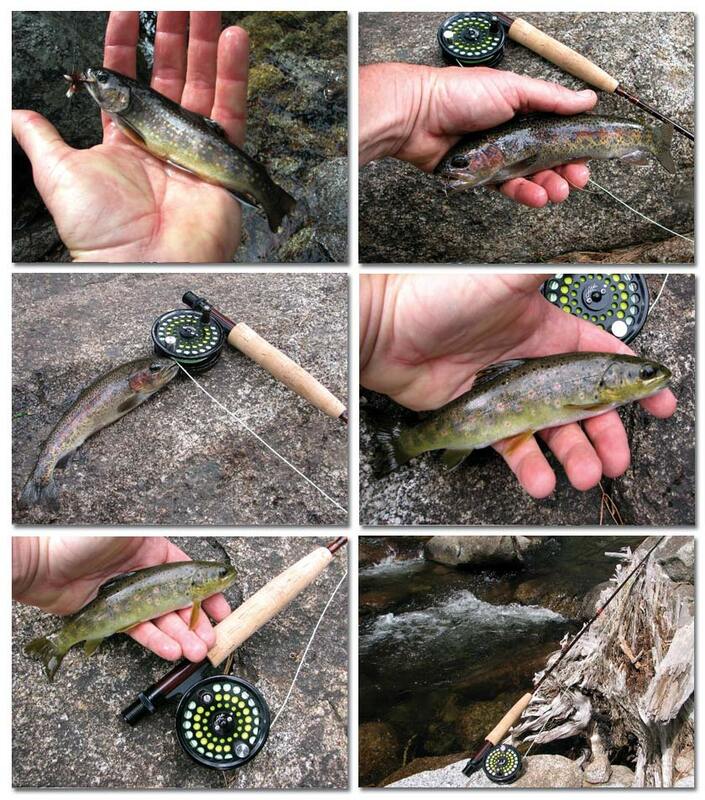 I opted for the fiberglass rod, knowing that its size and action would be perfect for such conditions, and as you can see from the attached photos, I was not disappointed. 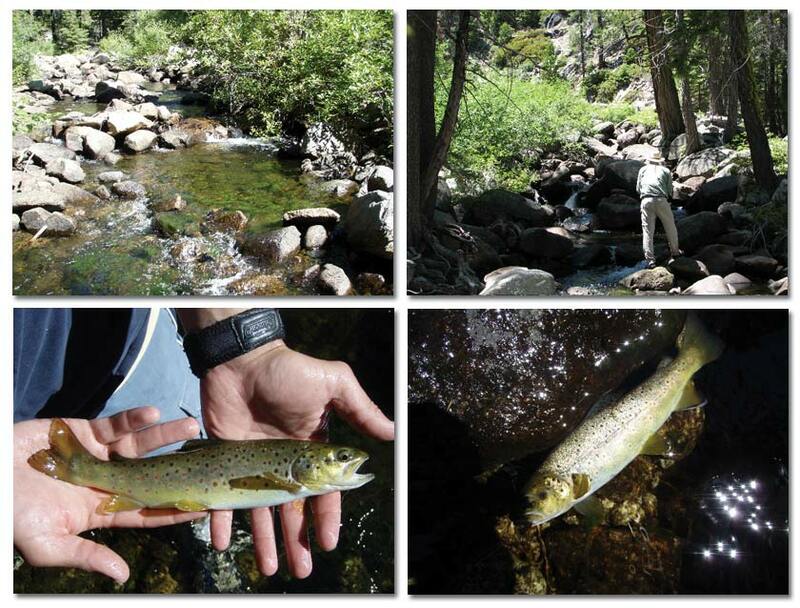 Thanks, Dave, for helping me enjoy yet another great day of true small-stream fishing! 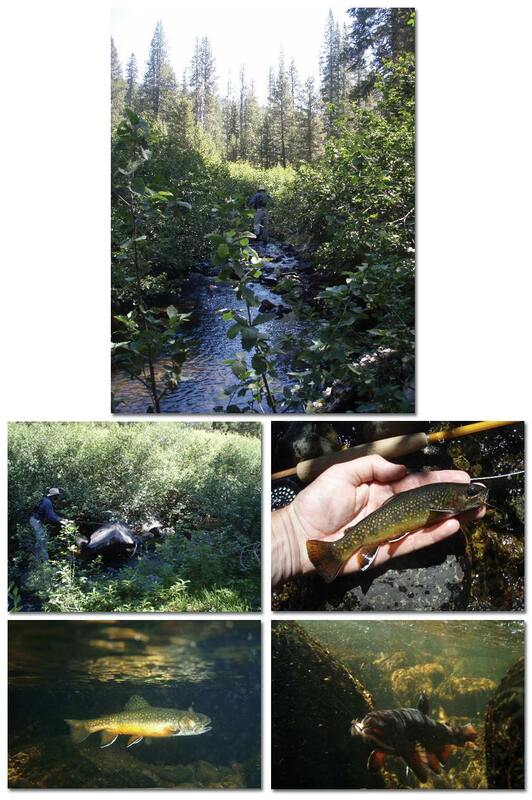 Here's a group of photos from a couple of different trips up to the headwaters of the same stream I mentioned in my previous e-mail. Up here there is nothing but old and strikingly beautiful brook trout living in the shadowy little pools under a heavy overgrowth of alders and willows. That little glass rod sure came in handy here and handled the tight casting conditions beautifully! You can see he is getting much better at those under water shots. You'll see more in a couple new entries below. This group Blair took on a recent jaunt to a small rainbow stream. With the heat wave we had towards the end of August, we decided to combine a family outing into a little fishing and swimming. While my wife and daughter and dog cooled off in the chilly water, I fished upstream a ways then came back down and joined them for lunch and a refreshing dip myself. The amazing thing is that this spot is lesss than a mile from a fairly crowded campground, but we had the place to ourselves! It is obvious this story is not finished. In fact I think it will go on for generations. My thanks to Blair and his family for letting me share it with you.